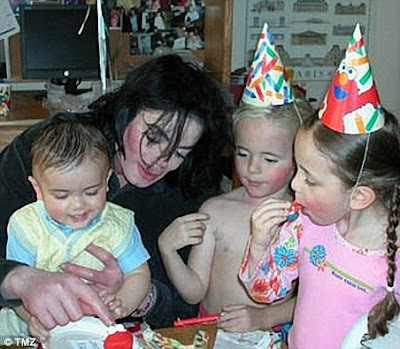 LOS ANGELES, California (CNN) -- Michael Jackson's mother filed a petition Monday in Los Angeles Probate Court seeking legal guardianship of her son's three children, CNN has confirmed. "Dr. Murray never prescribed Demerol, never administered Demerol, never saw him -- Michael Jackson -- take Demerol," attorney Edward Chernoff told CNN's "American Morning." "We've let them know we're available to them any time they need us, any questions they have," Chernoff said. "We have told them that the medical examiner is free to call us. We'll be available to them. If they have any questions once toxicology comes out. I expect they will have some questions, and we'll be ready to answer them." Murray found Jackson not breathing in bed when he entered the 50-year-old singer's estate on Thursday, Chernoff said. Jackson did have a slight pulse when Murray found him and tried to resuscitate the singer as he awaited paramedics, a representative with Chernoff's Houston, Texas, law firm said Sunday. Jackson was rushed to a Los Angeles medical center, where he was pronounced dead. An autopsy performed by a county medical examiner was inconclusive, although officials said there were no indications of external trauma or foul play. The Los Angeles County coroner's office has said toxicology results are needed before a cause of death can be determined. That could take four to six weeks. Detectives impounded Murray's car, which was parked at the singer's rented home. Authorities said the vehicle may contain evidence related to Jackson's death, possibly prescription medications. Police have released no information on what they may have found. Chernoff said there was nothing in Jackson's medical history that Murray was aware of "that would lead him to believe he would go into sudden cardiac arrest or respiratory failure." "There was no red flag available to Dr. Murray, which led him to believe he would have died the way he did," Chernoff said. "It's still a mystery how he died to Dr. Murray. "It was Dr. Murray ... as you know, that requested that the family ask for an autopsy, because he needed to know as well as his physician what caused Michael Jackson to stop breathing."